from 7 to 8 pm in Room 132. The group provides support to individuals who have lost a loved one to suicide. The death of a loved one through any cause is painful, but losing someone we love to suicide adds another layer of pain and emotions to the experience of loss. Please call 845-267-2172 x465 for questions or attend the meeting. No registration required. The talented and dedicated staff of MHA of Rockland literally and figuratively “meet people where they are at.” We engage individuals in a strength based, recovery oriented way to help them concretize the goals that they wish to achieve. We do the bulk of this work in the community, in people’s homes, schools, job sites, and community centers, allowing for greater access to and comfort with services. MHA Rockland has now embarked upon another new program which holds true to this piece of our mission. 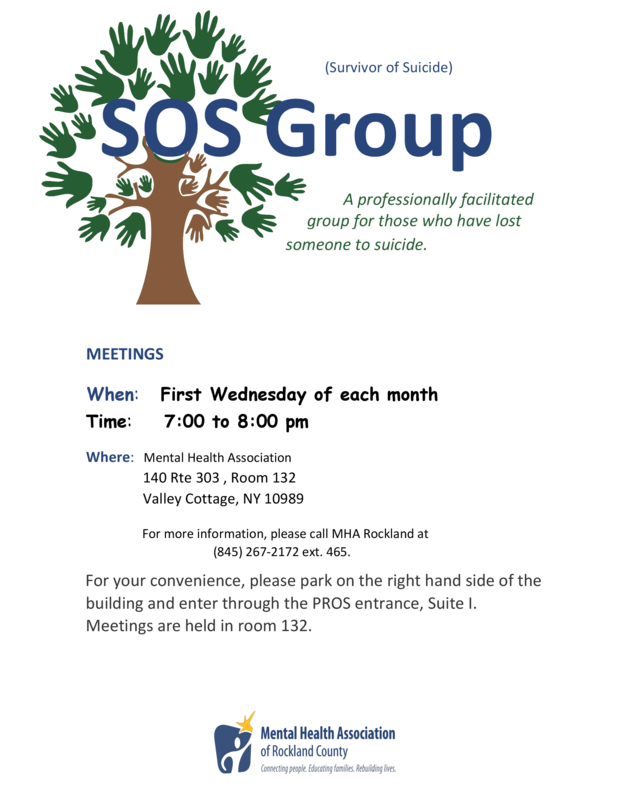 In June 2017, administrative and clinical staff of our PROS program (Personalized Recovery Oriented Services program) began running therapeutic groups in several of the adult homes in the Rockland community. These groups use art therapy, recreational therapy, and social skill building as ways to engage residents in the homes. Participation is voluntary, and is designed to be short term. It allows individuals to connect to others in a meaningful way, as well as get a taste of what our PROS program is like. In many cases, it results in people applying to and being accepted into our Valley Cottage PROS program. These experiences and connections are beneficial to the participants in enriching their lives and addressing their mental health needs. They are similarly beneficial for the proprietors of the adult homes in creating a more stimulating and fulfilling environment. It is truly a “win win” initiative for all.